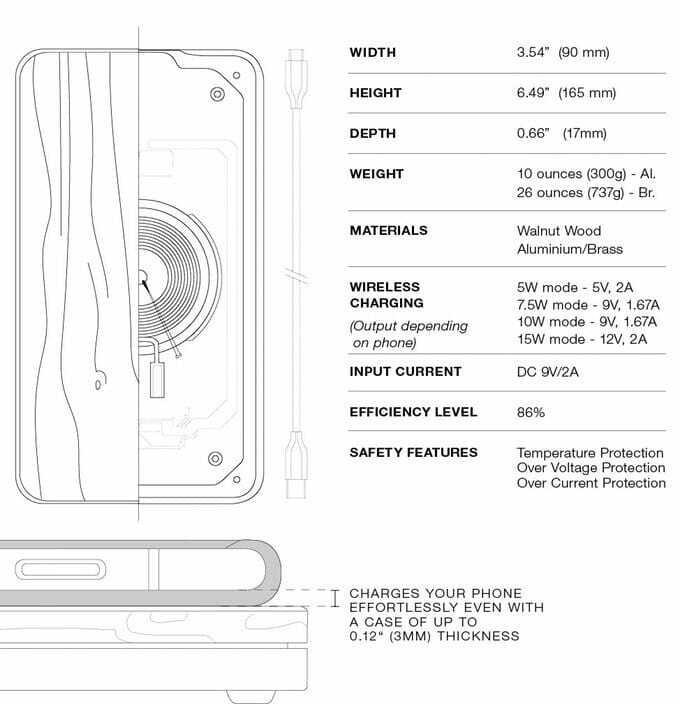 The design team at Balolo based in Cologne, Germany have created a new wireless smartphone charger aptly named The BRICK. 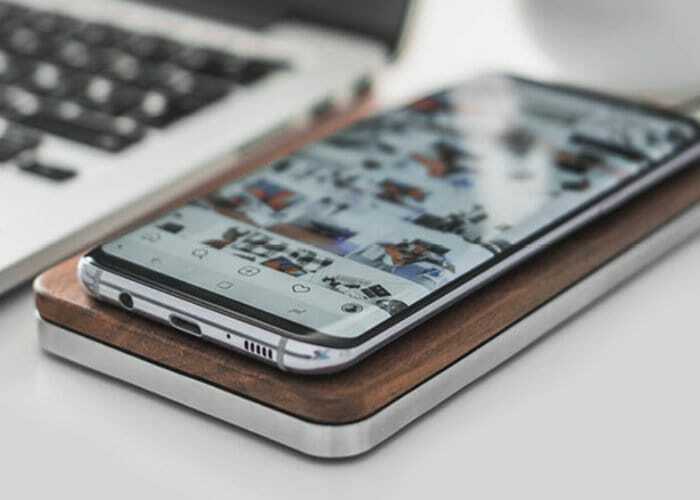 Constructed from CNC machined metal and American walnut wood, wireless charger has already raised over €45,000 thanks to a 530 backers were still 22 days remaining on its campaign. Watch the demonstration video below to learn more about The BRICK and it’s fast charging features. 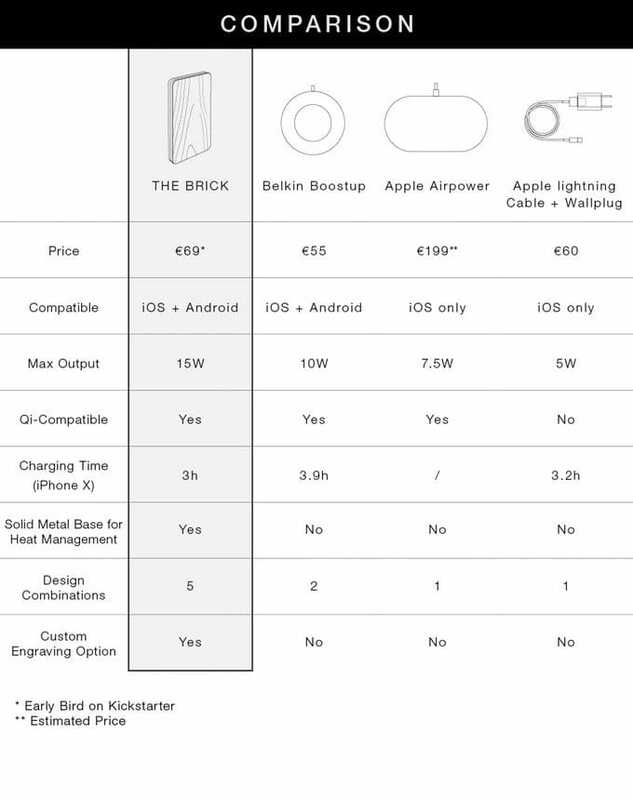 Pledges are available from €69 for early bird backers offering a €50 saving off the recommended retail price of €119. The BRICK is available in three finishes either black, space grey or silver. Manufacturing progresses smoothly worldwide deliveries expected to take place during December 2018. For more details on the quality and construction of the BRICK jump over to the official campaign page by following the link below. Also available as an engraving service allowing you to add a personal touch or slogan to your wireless charging pad for an additional €10. Making it a perfect gift this holiday season. Check out the comparison chart below to learn more about its features.